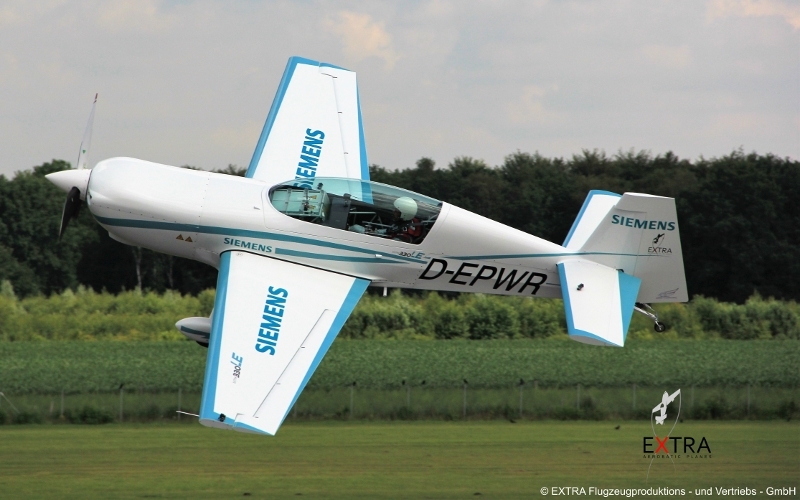 Extra 330LE is a two-seat aircraft fitted with Siemens-electric engine. Image courtesy of Extra Aircraft. The aircraft’s maiden public flight was completed at Schwarze Heide Airport in July 2016. Image courtesy of Extra Aircraft. Flight deck of the Extra 330LE aircraft. Image courtesy of Extra Aircraft. The aircraft set a world climb performance record in November 2016. Image courtesy of Extra Aircraft. The Extra 330LE is powered by hybrid-electric propulsion systems developed by Siemens. Image courtesy of Extra Aircraft. 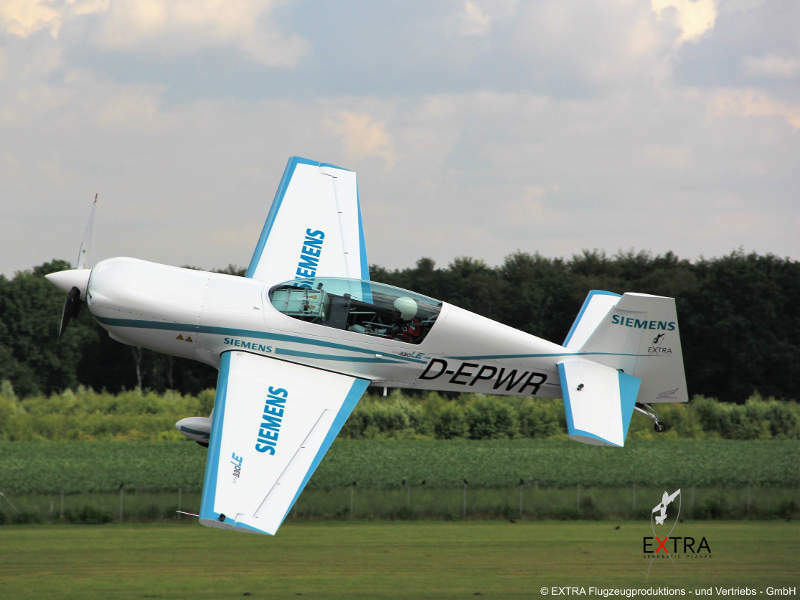 The first flight of the aircraft using the Siemens-electric drive system was completed at the Schwarze Heide landing field in Hünxe in June 2016, while its maiden public flight was completed at Schwarze Heide Airport, located near Dinslaken, Germany, in July 2016. The aircraft reached an altitude of 3,000m in just four minutes and 22 seconds at a velocity of 11.5m/s, which was officially recognised by Fédération Aéronautique Internationale (FAI) as a climb performance world record in November 2016. It reached a top speed of 337.50km/h over a distance of three kilometres, and was also the first aircraft to tow LS8-neo-type glider up to a height of 600m in 76 seconds in March 2017. 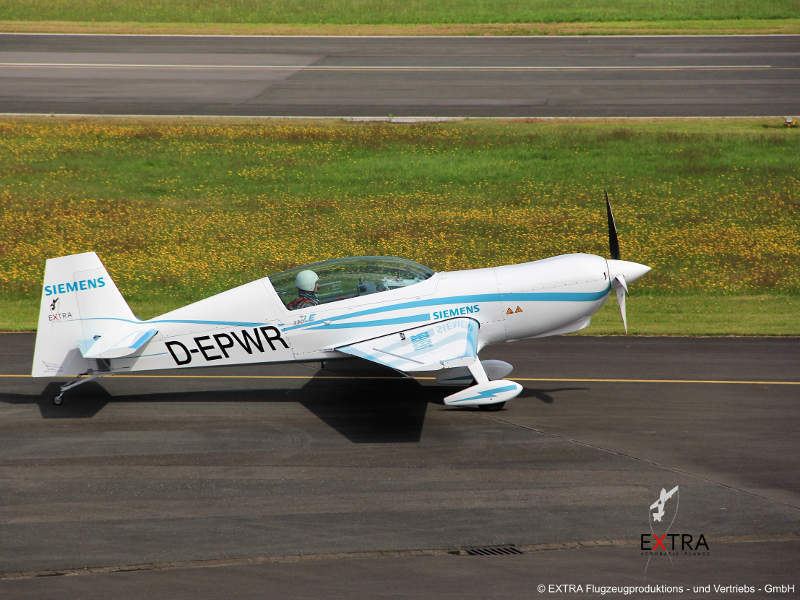 Extra Aircraft offers six specialised aerobatic models of the aircraft, including Extra 200, Extra 300LP, Extra 330LP, Extra 330LC and the latest Extra 330LE. 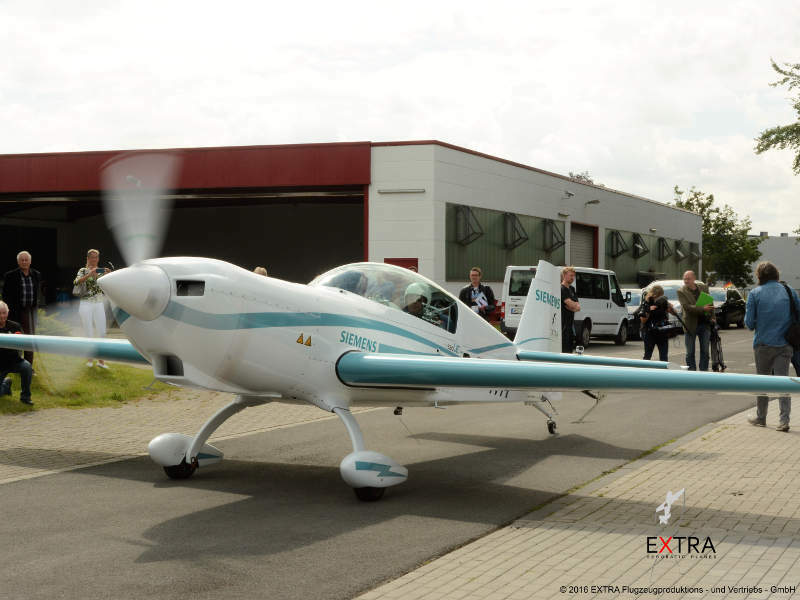 Extra Aircraft’s 330LE model is based on the German-built Extra 300L two-seat aircraft, which was designed by company founder Walter Extra. The 330LE is constructed with light-weight materials and is suitable for 20-minute flights, including take-off, climbing and five minutes of full throttle flight. It has an electric drive system is five times larger than other systems currently available on the market, enabling it to provide a sustainable means of transportation with carbon-free emissions. The aircraft’s external dimensions comprise a length of 7.5m (24.6ft) and a height of 2.6m (8.6ft), with a wingspan of 8m (26.3ft) and a total wing area of 10.84m² (116.7ft²). 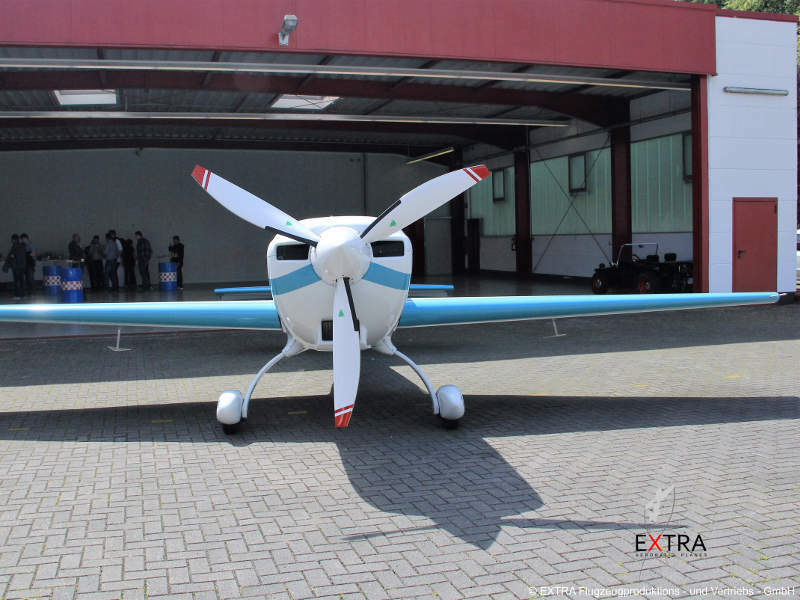 The company notes that the successful flight of the aircraft’s prototype in a two-seat tandem arrangement powered by an electric motor will make the development of an electric-powered aircraft with four or more seats possible in the future. Extra 330LE aircraft are powered by an electric SP260D motor with a power output of 260kW (348hp). The electric motor was developed by Siemens with support from Germany’s Aeronautics Research Program (LuFo). The motor can drive propellers directly without the use of a transmission, and can deliver 2,500 revolutions per minute at rational speeds. It has a continuous torque of 1,000nm and link voltage of 580v. The motor has a maximum coolant inlet temperature of 90°C and efficiency of 95%. The aircraft features two battery packs, each with 14 high-power Li-Ion battery modules with a capacity of 18.6kWh. The aircraft’s motor weighs 50kg including airscrew bearings, and has a low power-to-weight ratio of five kilowatts per kilogram, which was achieved with the use of new simulation techniques and sophisticated lightweight construction. Its overall weight is approximately 1,000kg, while its the average climb rate is 2,300ft a minute. 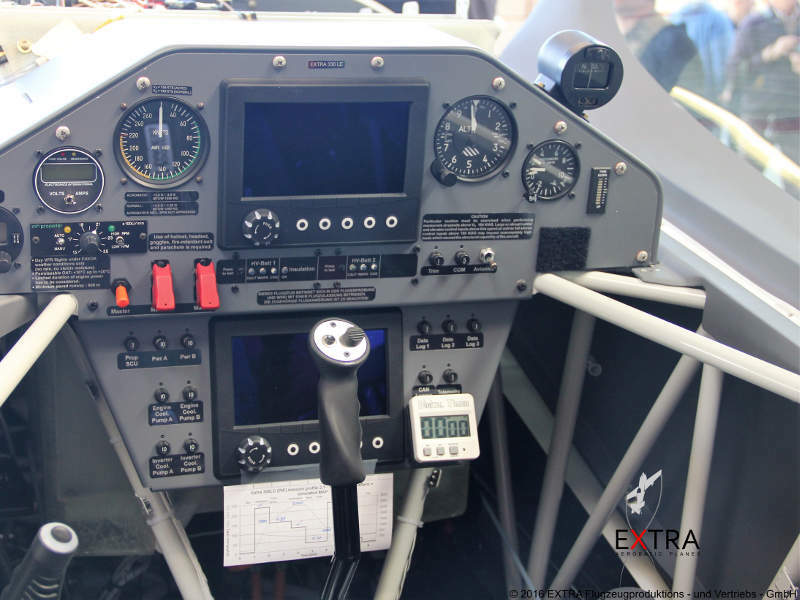 The Extra 330LE prototype was developed by Extra Aircraft in partnership with Siemens, MT-Propeller and Pipistrel. "The aircraft reached an altitude of 3,000m in four minutes and 22 seconds at a velocity of 11.5m/s, which was recognised as a world record in November 2016." Siemens and Airbus reached an agreement in April 2016 to collaborate on technical feasibility of hybrid electric propulsion systems. The companies aim to demonstrate an aircraft with 100 passengers by 2020, and an aircraft with 100 passengers and a range of approximately 1,000km by 2030. Airbus is subsequently developing another electric aircraft called E-Fan. 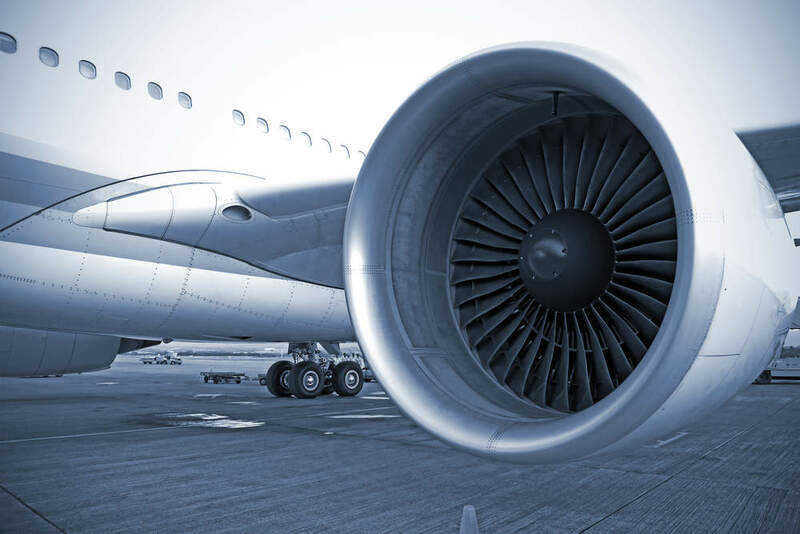 EMTEQ is a provider of avionics installation kit design and certification in addition to offering manufacturing and assembly and testing expertise.